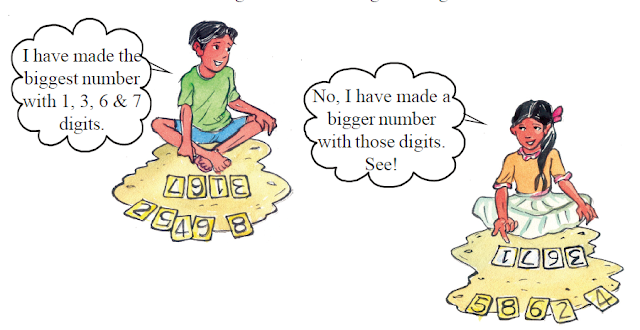 Chandu : How do you know that your number is bigger than mine? Sindhu : Let me show you. She writes in her notebook. 3671 and 1 hundred in 3167. So, 3671 is more than 3167. Now, you make all the four digit numbers that are possible with the digits 3, 6, 7, 1. (a) Which is the largest number? (b) Which is the smallest number?